Julian Rodriguez believes that good journalism has the ability to change the world for the better. It's probably the biggest reason why he's passionate about his work as a communicator and a teacher. "Journalism is the maximum expression of the human condition, a generational opportunity to improve the quality of life of our society," he says. "Working with our younger generations is a privilege of unprecedented importance—you have in your classroom those who will steer the world away from harm and toward prosperity." What past accomplishment makes you proudest? For the last eight years, I've been working nonstop on the development of a Spanish-language television newscast at UTA, a program unlike any other in the nation. We call this project UTA News en Español. I have succeeded in many ways and failed miserably in a few others, as expected. But in this constant tide of success and defeat, I've learned that this project is not only important because of what we have been able to achieve, but also how fast we have learned to recover from our failings. Today, UTA News en Español is nationally recognized and buoyed by major media corporations, supported by the Ford Motor Company, published in academic journals, welcomed at national and international media conferences, engaged in international media content exchanges, and celebrated at the highest levels by the National Association of Hispanic Journalists. UTA News en Español has outgrown itself and now demands a higher ceiling; we are currently working on the establishment of the Hispanic Media Initiative (HMI), a program in the Department of Communication focusing on the advancement of Hispanic media education, journalism, and research. 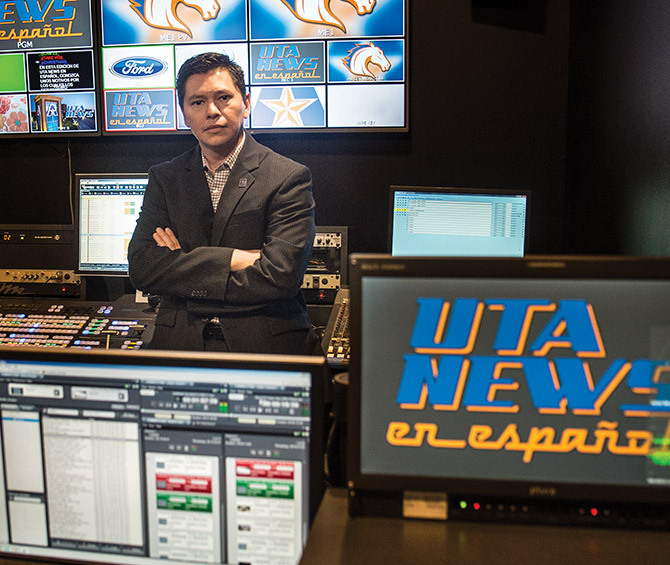 HMI is the response of UTA News en Español's unparalleled success; it addresses urgent needs found in the media industry and secures the continued development of world-class education at UTA.